From the moment I got pregnant, there was always one thing that I had been sure about, that I would be making Kane's baby food. Aside from the fact that my mom made purées for me growing up, I have always believed that there are so many benefits. 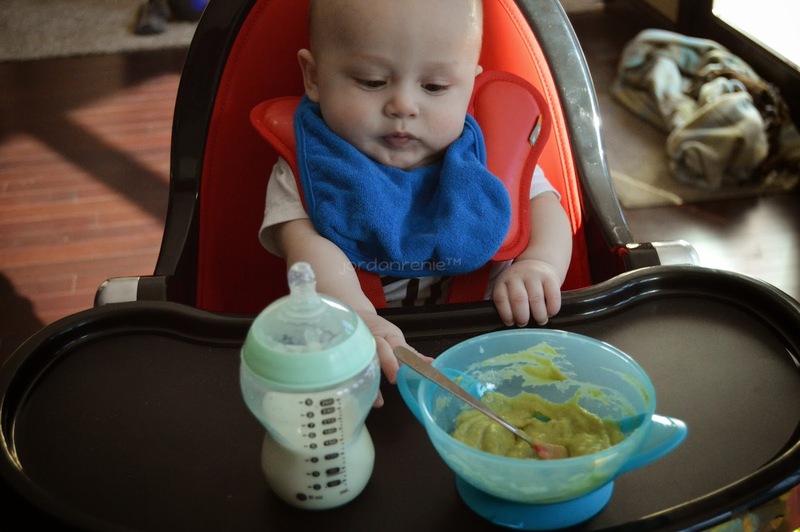 I love knowing exactly what Kane is eating, and I truly enjoy experimenting to create different purée blends! I have more fun mixing different fruits and vegetables and seeing how Kane likes them then I do a lot of other things. His facial expressions says it all, but either way he is getting a healthy, organic and homemade meal. At first we struggled with when we should start introducing cereal, oatmeal and purées. Everyone has their own opinions on when is a good time to start, but I just went with my gut. 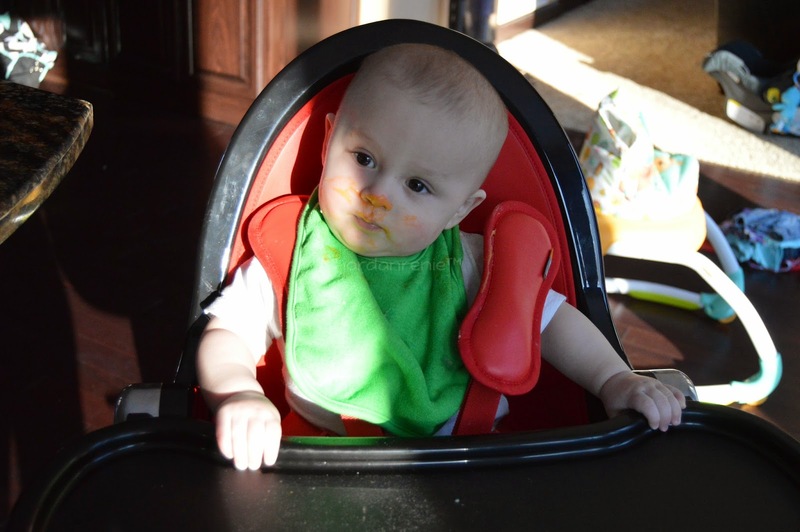 We personally let Kane try rice cereal shortly after he turned four months old. He wasn't very fond of it, so we stopped giving it to him and went back to only giving him a bottle. When he was five months old, we started giving him a little bit of oatmeal before bed to help fill him up. Shortly before Kane turned six months old, we started introducing purées! We went by the rule of feeding the same fruit or vegetable for four days in a row before moving on to the next one. This way we would know exactly what fruit or vegetable he had a reaction to, if he were to experience some type of reaction. So far it has worked out great for us! Kane has liked everything he has tried, and has had no reactions thus far! We haven't tried everything quite yet, but just the fruits and vegetables we have been able to find at our local whole foods store! I have been experimenting with apples, pears, bananas, mangos, avocado, sweet potatoes, butternut squash and carrots. I have come up with some pretty great purée mixes using these ingredients that have easily become some of Kane's favorites! Making homemade purées wouldn't be so simple if it weren't for some amazing tools. 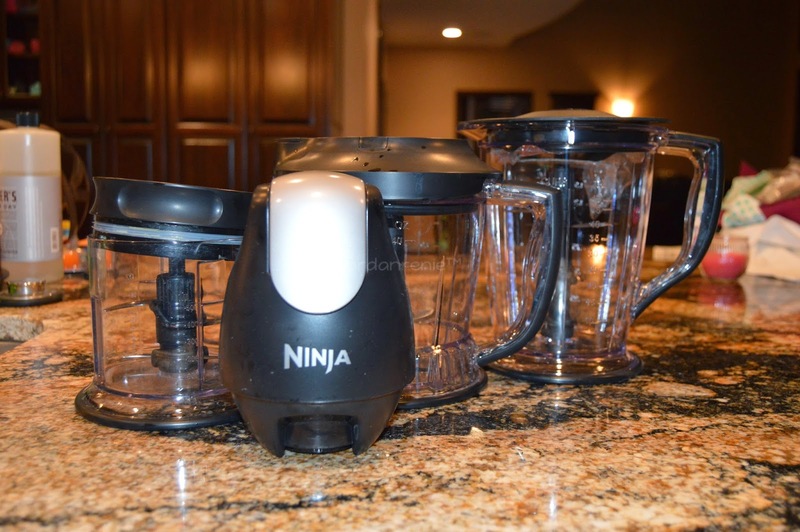 For starters is my Ninja Master Prep System. It comes with multiple blending containers of various sizes. With that being said, it is great to be able to make a purée mixture in the perfect sized container for the amount of fruit or vegetable that I have. I am able to blend up enough fruits and/or vegetables to make multiple servings to freeze and feed later! Next is the Lilly Pot. 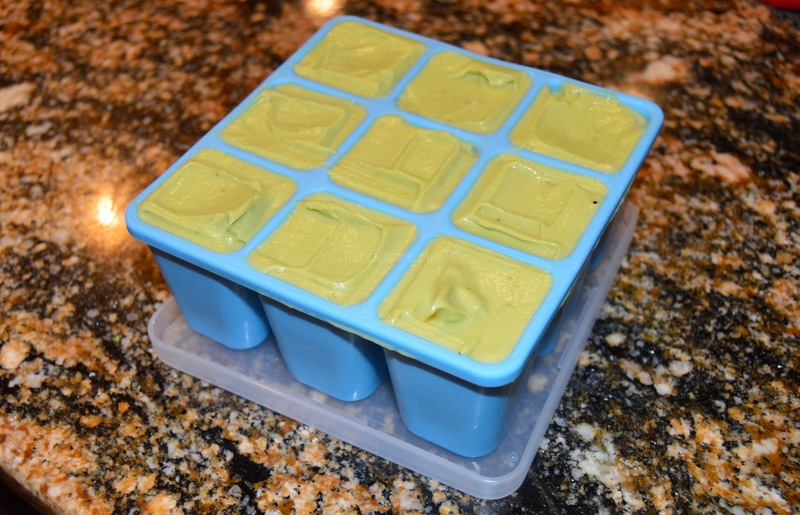 It has been so nice to grab some frozen purée and cook it quickly and effectively. 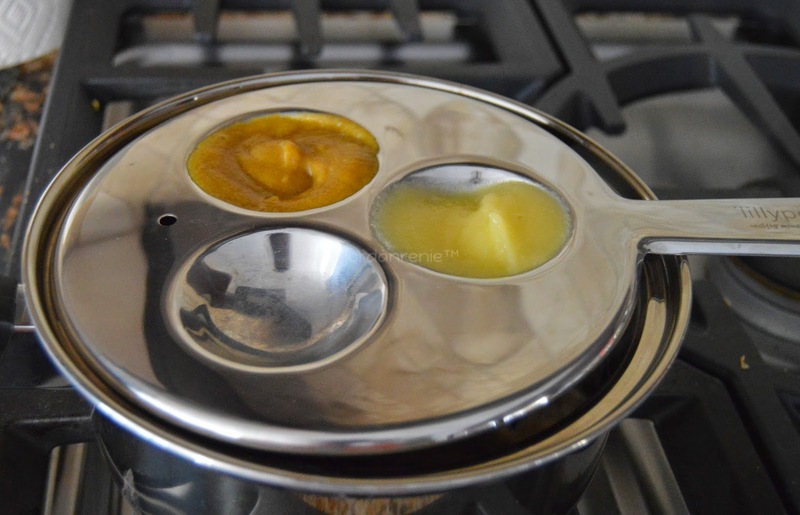 All you have to do is put the Lilly Pot over a pot of boiling water, add your food into one of the three small and convenient spots and cook it until its nice and warm! Until I found the Lilly Pot, I would always have to take out a pouch the night before and throw it in the refrigerator. Kane also didn't know the luxury of eating warm food. Now that we have our Lilly Pot, it makes cooking Kane's breakfast, lunch and/or dinner a breeze! For the $30 that we spent on it, it was well worth it. I have actually been thinking about even buying a second one! Another amazing tool in my personal collection is the Nuk Flexible Freezer Tray. Although I love putting the purées in pouches for easy on the go feedings, it is nice to be able to grab a cube and throw in my Lily Pot without having to remember to put the frozen pouch in the fridge the night before! Although a standard ice cube tray works as well, I have found that the proportion size is perfect for a typical meal that Kane would eat. It is also nice because it comes with a lid to ensure that the frozen purées stay fresh and don't get freezer burned. 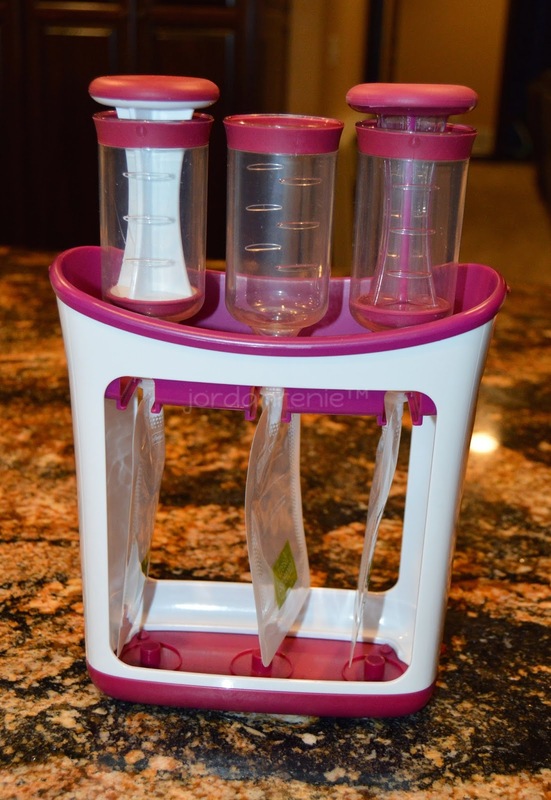 Another great tool is the Infantino Squeeze Station and reusable or disposable pouches. I love this because it is nice to be able to just quickly grab a pouch when we are headed out the door. Being able to feed Kane while we are on the go is definitely a plus in my book. The Squeeze Station makes all of this possible. I am able to put the purées into small on the go pouches quickly and easily! I admit that it takes a few tries to get the hang of using, but once you figure out how the Infantino Squeeze Station works, it is a breeze. Another amazing plus is that Infantino makes small spoon attachments that can easily be paired with the disposable or reusable pouches for quick, mess free feedings! It has been such a relief when we run errands or are hanging out at a family members house to quickly take out the pouch of purée and feed Kane! The last tool that makes the purée process possible is the Cutco Food Press/Steamer pan! Without this, I would go absolutely crazy! It steams fruits and vegetables so that you can blend them down into a nice and smooth purée! I had tried to boil the fruits and vegetables in the microwave in a bowl with a small amount of water. Needless to say, it was a complete failure with absolutely no success. It is so easy to just boil a pan of water, fill this insert up with fruit or vegetables, put on a lid and wait for them to be soft. Having the luxury of this pot is worth every penny! 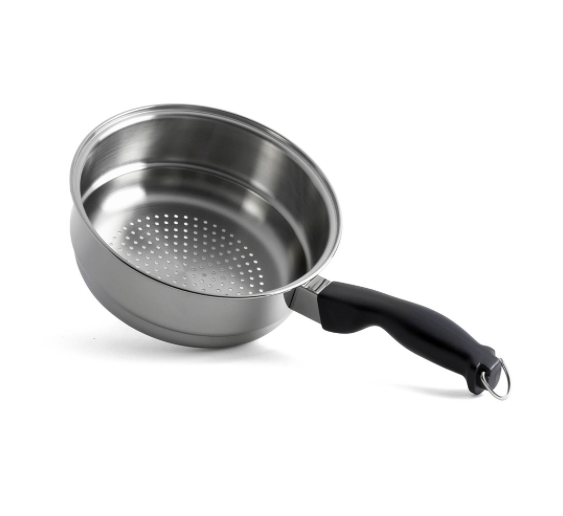 Luckily for us, this pan accessory was included in our pots and pans set that we bought when we moved into our new home. If we didn't have it, I would definitely be willing to make the purchase! All in all, without some of these amazing tools, I don't think that my purée making process would be as enjoyable. I absolutely love to grab different fruits and vegetables and blend up different combinations to see what Kane thinks of them! I look forward to sharing some of our favorite recipes with all of you as we start expanding Kane's foods!